As runners we are bound to experience a few aches and pains sometime during our training. But there are precautions we can take to stop these pesky problems in there tracks. If you already have an injury, these same tips can prevent them from getting worse. The first is Sesamoiditis, this is pain under the first metatarsal bone. This can occur if you increase your mileage, or if you been including hill work or sprinting, basically any activity where you are running on the ball of your foot. I am speaking from personal experience, and this is painful. The key is to take the pressure off the area. I knew something did not feel right, so immediately I made an appointment to see a Foot and Ankle specialist but before doing this I stopped all high impact activity for 7 days. After taking x-rays of my feet, I was fitted for orthotics, but until I received them, they made a foot wrap specific to my issue to wear in the meantime. I have to say the orthotics are wonderful, I wear them all the time and I have been able to run with no more issues. 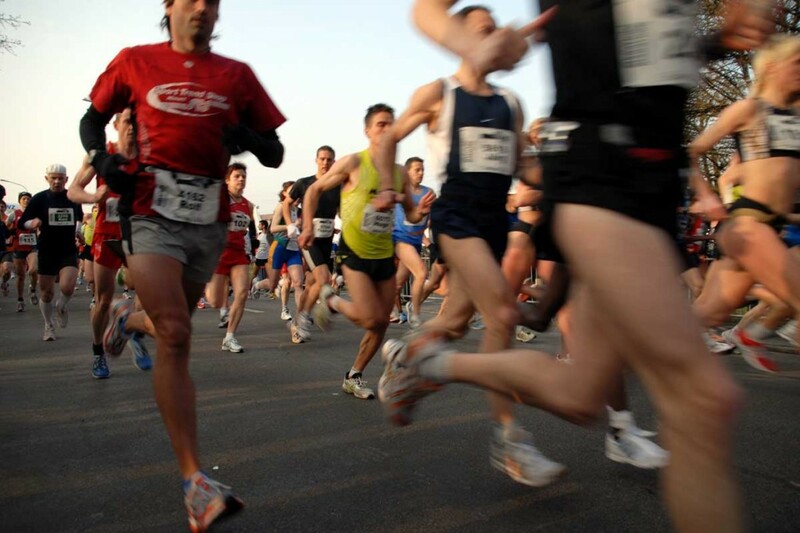 Achilles tendinitis is an overuse injury; and this is also one of the most common problem areas for runners. Many times our bodies will give us a warning sign, before this injury occurs, such as a dull ache or stiffness either during or after our runs and if we are able to listen to our bodies and take the needed steps, we can prevent further damage. Here are a few causes of this injury, an overworked or overstretched Achilles, tight calf muscles, uphill running, speed work, adding miles too soon, or not enough cushion or support in the heel of your running shoes. Once you start feeling any pain in your Achilles, stop running and rest, and ice the area. Often times arch supports will help and stretching the muscles of the calf and massage will help in a few cases. This is another overuse injury, which is often felt as pain in the inner part of the front of the lower leg. The pain is felt normally during and after runs. Here are a few causes of this injury, training too much, too fast and too long, as well as tight calf muscles and Achilles, worn out shoes and over pronation. To help prevent and treat this condition you can replace your shoes, run on softer surfaces, massage the muscles on the inside of the shin and stretch the calf muscles along with strengthening exercises for the calves and shins. Blisters can appear anywhere on your foot, and they are caused by a repetitive friction on a certain point. Blisters develop where your shoes or socks rub against your skin, wearing shoes that are too small or tight, or if your feet sweat a lot. To prevent blisters, make sure your shoes fit properly, spread a little petroleum jelly or put moleskin or athletic tape on any blister prone areas. This occurs when your shoe is too tight or when your toe (normally the longest one), makes contact with the front of the shoe, resulting in pressure on the toe pushing the nail into the nail bed causing bruising ( bleeding under the toenail). If it is not too painful you might not have to do anything, the nail will eventually fall off. But if the pressure is causing a lot pain then seek medical attention. In order to prevent this from happening, make sure your shoes fit properly. This is a result of cutting your toenails too short or your shoes place a lot of pressure on your toenails. You can prevent this by cutting your toenails straight across and also by buying shoes that do not put pressure on your toes. According to scientists these are caused by the ligaments in the abdomen being overstretched and these normally occur on the right side of the body. You can deal with stitches by slowing down and or holding your side and adding a little pressure to it. Or by placing your hands on your head and jog, my high school PE teacher always told us to do this and it does work. These are just a few injury coping and preventions tips I find helpful. As always consult your physician if your injury persists.